The Joint Precision Airdrop System (JPADS) provides rapid, precise, high-altitude delivery capabilities that do not rely on ground transportation. The system ensures accurate and timely delivery in support of operational missions, while providing aircraft with increased survivability. 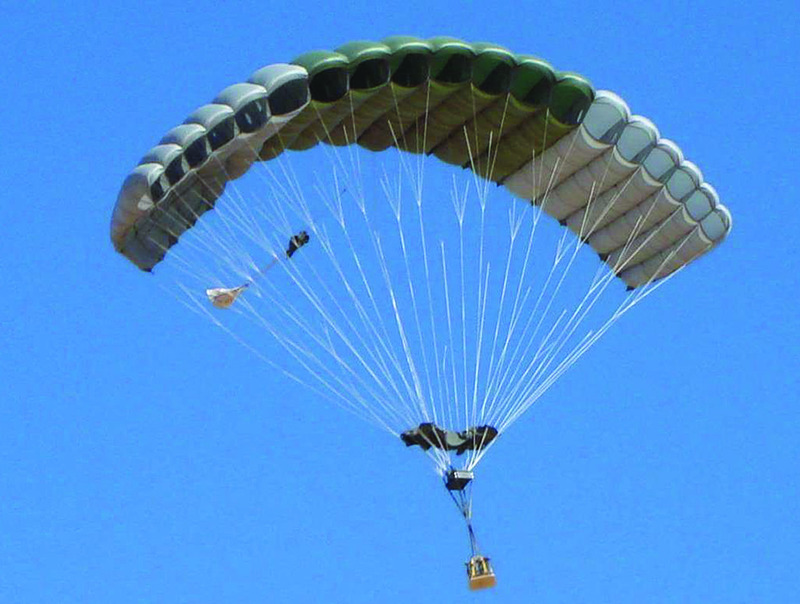 JPADS integrates a parachute decelerator, an autonomous guidance unit and a load container or pallet to create a system that can accurately deliver critical supplies with great precision along a predetermined glide and flight path. The system consists of two weight classes: 2,000 pounds (2K) and 10,000 pounds (10K). The guidance system uses military Global Positioning System (GPS) data for precise navigation and interfaces with a wirelessly updatable mission planning module onboard the aircraft to receive real-time weather data and compute multiple aerial release points. JPADS is designed for aircraft to drop cargo from altitudes of up to 24,500 feet mean sea level. It releases cargo from a minimum off-set of eight km from the intended point of impact, with an objective capability of 25 km off-set. This off-set allows aircraft to stay out of range of many anti-aircraft systems. It also enables aircraft to drop systems from a single aerial release point and deliver them to multiple or single locations, thus reducing aircraft exposure time. Once on the ground, the precise placement of the loads greatly reduces the time needed to recover the load as well as minimize exposure to ground forces. JPADS increases aircraft and payload survivability and enables delivery of multiple loads to single or multiple drop zones in a single aircraft pass with accuracy better than 150 meters with 80 percent confidence.